Forgotten - 2013-133, originally uploaded by Judi FitzPatrick Studio. 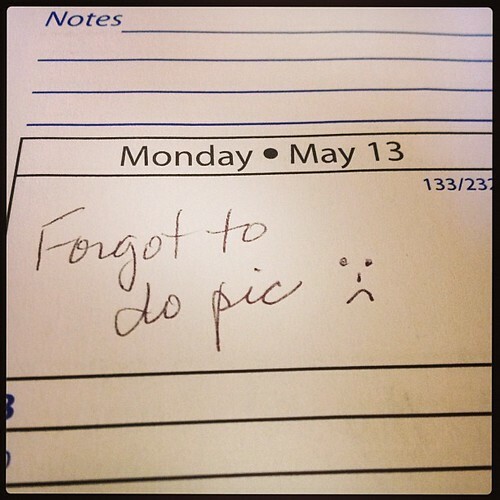 Totally forgot to create a photo on Monday. I spent Saturday through Monday AM at my daughter and son-in-law's place. His mother is in town for over a week. My other daughter joined us for part of the weekend. On Sunday we all went out to brunch; then daughter #2 returned home. DD1 and SIL took the 2 mothers for a drive to Sedona; made it in time for sunset. EDIT: day 133 is 1/3 the way through the year!